Promontory Development is proposing a large commercial and housing project for the southernmost 800 acres of the exclusive community. The project would include 190,000 square feet of commercial space, 1,020 residential units, including more than 430 workforce housing units and a 40-acre site dedicated for a high school. A large commercial and housing project that is being proposed for the southernmost 800 acres of Promontory Development has raised serious concerns with residents who live in Brown’s Canyon. Promontory Development is considering asking the Summit County to amend Promontory’s Specially Planned Area agreement to accommodate the South Point Proposed Master Plan. 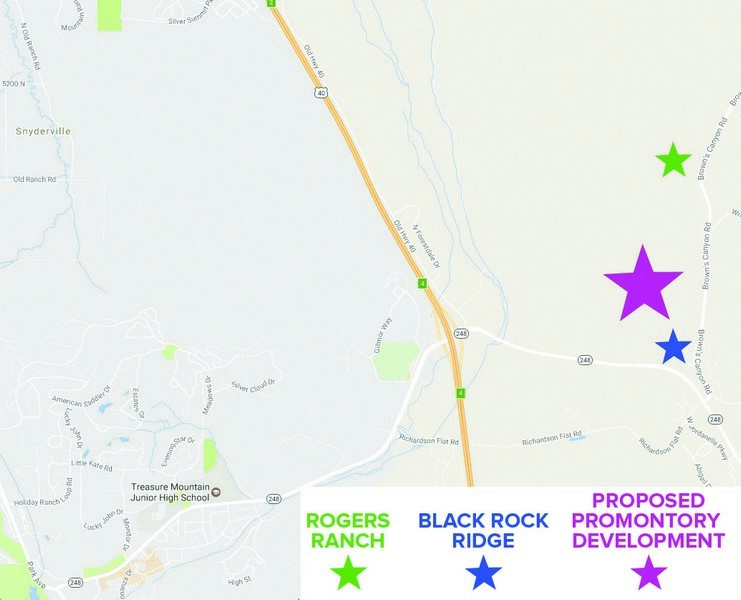 The development would be located between the Roger’s Ranch and Black Rock Ridge development on Brown’s Canyon Road. The amendment proposes 190,000 square feet of commercial space, 350 hotel rooms, 1,020 residential units, including more than 430 workforce housing units, a 40-acre site dedicated for a high school and a new location for the Children’s Justice Center, according to a summary of the SPA amendment. The new proposal also shows a conservation easement of 348 acres, with 134 acres of open space, an indoor recreation site and dedication of a 110-acre lake easement for future Three Mile Canyon Reservoir, according to the project summary. The area is currently planned for two private golf courses, 150 base density estate lots, 100 resort cabins and 602 acres of open space. Bobrowsky said he has “no faith” in Summit County and thinks the amendment will be approved. He cited the Silver Creek Village Center, a mixed-use development under construction along U.S. 40, as evidence. “South Summit is on a building boom for the sake of building. I’m not against the project and I’m not one of those, ‘Not in my backyard-kind-of people,’” Bobrowsky said. “But I am against it in this location. Lola Beatlebrox, who lives on Desert Mountain Road in Brown’s Canyon, told The Park Record, the proposed amendment is “overly ambitious.” Beatlebrox said the canyon is a treasured preserve “that everyone drives through and enjoys, without considering it might be developed.” She said the project came as a surprise. ”I think people in Peoa and Oakley who go through here every day need to know about it and understand what is happening,” Beatlebrox said. 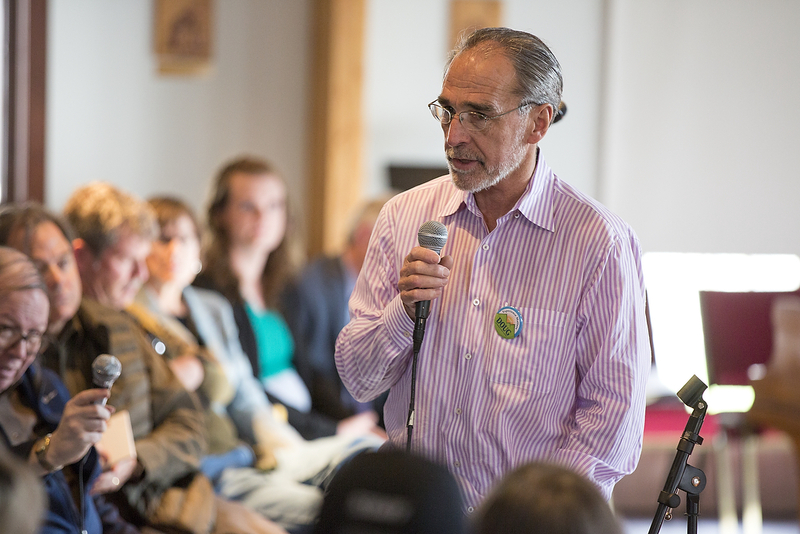 “The prospect of having such a huge disturbance in Brown’s Canyon should concern us all. The traffic situation alone is disturbing because the only entrance planned is off of Brown’s Canyon Road. “I can say that we feel this community, in its concept, would be great for Park City as it would provide needed housing and amenities for locals,” Milne said. Sonntag, who was Promontory’s general manager for more than 15 years and is currently a member of the Eastern Summit County Planning Commission, is acting as a consultant on the project. He said he would recuse himself if the project came before the commission. 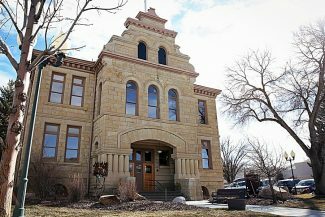 “I think at this point we have submitted some preliminary items to the county, but we are really just waiting for advice,” Sonntag said. “Obviously, there are conflict issues I would want to avoid and we, on the commission, are waiting to see who the new appointments are. We may have a different makeup.